To help you stick to your new year’s diet resolution, look out for my modern twist on making traditional recipes healthier for you and your family! Don’t get me wrong – this is not a diet blog; I just feel we could all use a little help here and there. I want to show you that with slight adjustments to your everyday food cravings you can easily make delicious dishes that will keep you fit for 2015! We will explore all of it as we move through the new year. I promised that you would get to know me and I would share some history. Here is your first lesson: my mother is from Georgia, and there are very few things that are as traditional as preparing the dish Hoppin’ John for a southern new year. With that being said, there are so many stories of the dish’s origin and just as many recipes for it as well. The most common version of how this dish came to be deals with the story of when the slaves were fed black-eyed peas on the ships over from West Africa. Rumor has it that the slaves then cultivated the peas once they arrived in America. They often were given work off the week between Christmas and New Years since there were few crops to harvest. Since there was an abundance of rice during this time they often cooked up a blend of rice and beans to celebrate the holiday. Over time the superstition developed that eating this mix would bring you wealth and prosperity in the new year. There are lots of tasty recipes for the Hoppin’ John dish out there. Some recipes include ham hocks, rice, and a healthy dosage of tender, love, and care while cooking. 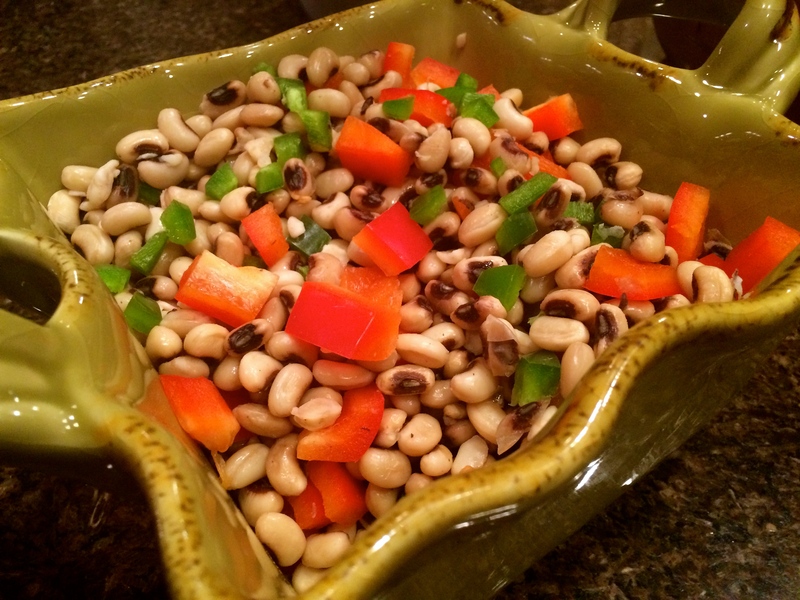 I use a slow cooker to ensure my Hoppin’ John dish is cooked in a healthy and efficient way. I also like to prepare this dish right before I get ready to go out for New Year’s Eve. It is ready to go when you get home, and it is the first thing you eat in the new year. You can also set it when you get home and it is ready in the morning. Hoppin’ John also makes a great hangover cure. Place peas, 3/4 cup green onions, 2 cups hot water, and next 6 ingredients in slow cooker; stir well. Cover and cook on HIGH for 4 hours or low for 6-8. Stir in tomatoes, tomato paste, and rice; cover and cook on HIGH for 1 hour or until peas and rice are tender and most of liquid is absorbed. Garnish with remaining 1/2 cup green onions. 1 Comment on Happy New Year!!! Sounds good Judi. Cannot wait to try it.